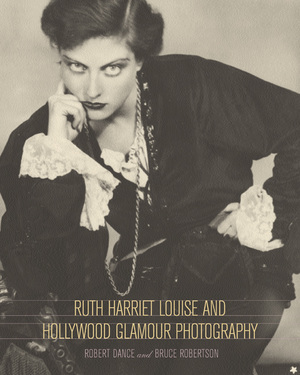 When Ruth Harriet Louise joined Metro-Goldwyn-Mayer, the studio with "more stars than there are in heaven," she was twenty-two years old and the only woman working as a portrait photographer for the Hollywood studios. In a career that lasted from 1925 until 1930, Louise (born Ruth Goldstein) photographed all the stars, contract players, and many of the hopefuls who passed through the studio's front gates, including Greta Garbo, Lon Chaney, John Gilbert, Joan Crawford, Marion Davies, and Norma Shearer. This book, which coincides with a major traveling retrospective of Louise's work organized by the Santa Barbara Museum of Art, is the first collection of her exquisite photographs. Containing over one hundred breathtaking images--reproduced from the original negatives--it attests to the talent and vision of a surprisingly unknown photographer who formed the images and helped create the popularity of some of our most enduring stars. Louise shot about one hundred thousand negatives that distilled the glamour, drama, and excitement of MGM's feature productions. Louise's original photographs were circulated to millions of moviegoers, magazine and newspaper readers, and fans. The movies and publicity machine that these photographs supported shaped the basic notions of stardom, glamour, and fashion in the 1920s and still affect our ideas today. Robert Dance and Bruce Robertson re-create the entire process--from the moment a performer sat in front of Louise's camera to the point at which a fan pasted a star's picture into a scrapbook. They provide insight into Louise's work habits in the studio and describe the personal dynamics between Louise and the actors she photographed. They include a condensed account of the methods of other photographers, a sharp analysis of fan culture in the period, and superb readings of Louise's photographs. With its combination of well-known and rare images, all magnificently reproduced, this book is a fitting tribute to one of the most gifted and underappreciated glamour photographers of Hollywood's golden period. Robert Dance is a private art dealer in New York, specializing in Old Master paintings and drawings. Bruce Robertson is Professor of the History of Art and Architecture at the University of California, Santa Barbara, and most recently the principal author of Twentieth-Century American Art: The Ebsworth Collection (2000). six What Is a Star?